The first generation of SRAM Red eTap was unfortunately a one-off. SRAM gave us the top of the line Red and that was it. But for the second generation – AXS, SRAM is giving us the whole kit and caboodle. 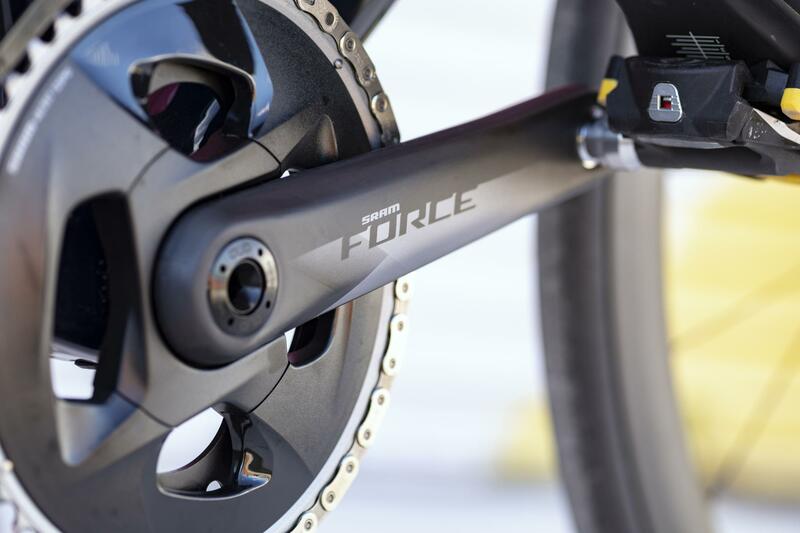 SRAM Force eTap is everything that excited us about the new Red AXS system in a more affordable – albeit slightly heavier package. For those that may not have read our previous take on Red eTap AXS – lets recap. AXS (pronounced “access”) is the name for SRAM’s collection of connected 12 speed components as well as the iOS and Android app used to configure them. The new collection is built around SRAM’s new X-Range gearing. X-Range is designed to give better gear ratios more closely attuned to individual riders preferences. 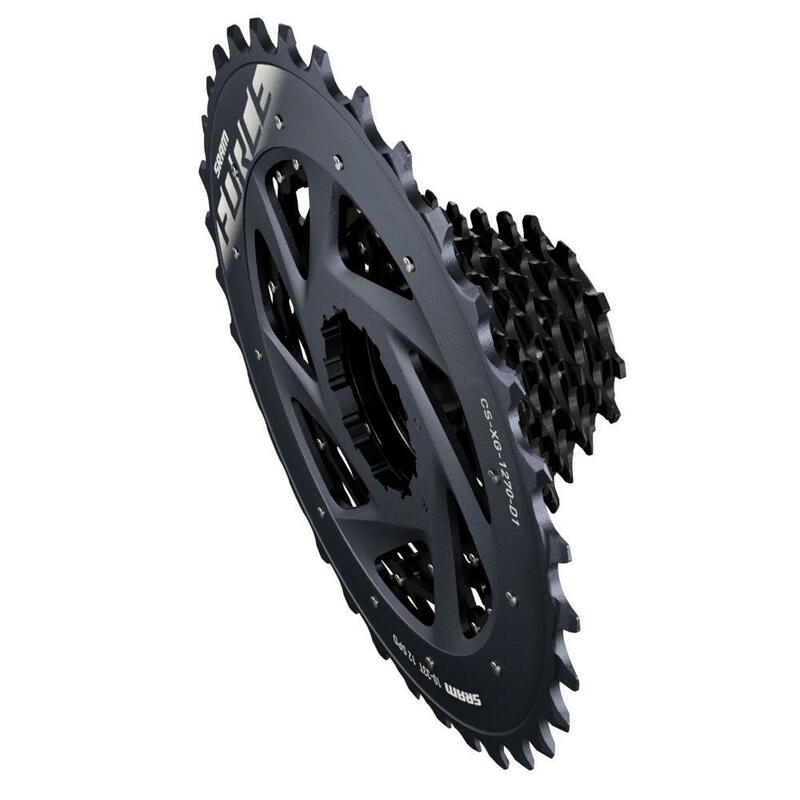 Wrapped around the new gearing is SRAM’s Flattop Chain. At first glance you are taken back by just how different it looks. The unique link shape allows the chain to be narrower and lighter while increasing strength. Hard Chrome plated inner link plates and rollers decrease wear and prolong the life of the chain. The end result is designed to be quieter than previous chain designs but still having faster and more precise shifts. Like the new Flattop chain, the new XG-1270 cassettes are pieces of art in their own right. The cassettes are built to work with the XDR driver body (making them compatible with all 2012+ Zipp wheels). While the Red cassette was machined from a single piece of steel, the Force cassette utilizes MINI CLUSTER construction which reduces weight and increases durability. 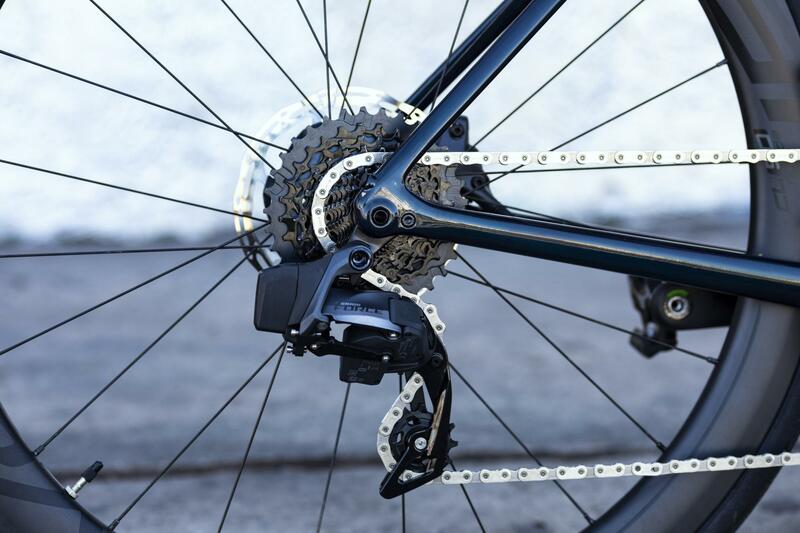 The rear derailleur is the heart of the AXS system. Like RED, you can use the same rear FORCE derailleur whether you are doing a 1X or 2X setup. 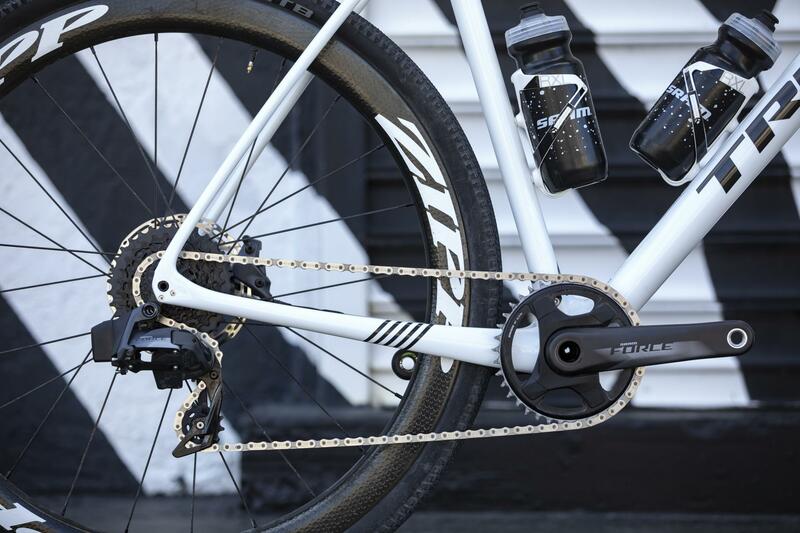 SRAM’s Orbit Chain Management technology is a new fluid damper system built to decrease sound and enhance chain security. 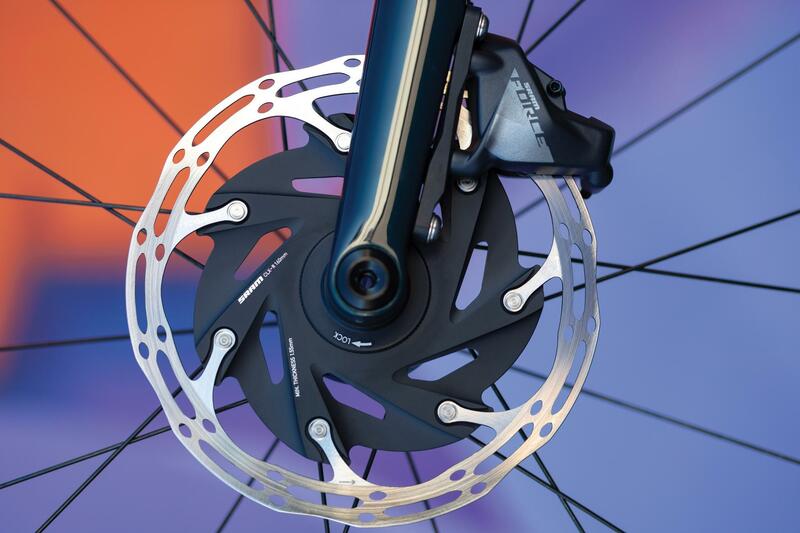 The derailleur also features larger pulleys and ceramic bearings. Like the front derailleur it utilizes the previous generation eTap batteries. Force eTap AXS has a definite price advantage over its RED big brother. Hydraulic RED eTap 2X road will set you back $3,648 while the same setup with Force will cost almost $1K less at $2,678. As one can imagine, SRAM had to give someplace. In exchange for an over 25% reduction in price the weight of the groupset does go up a little bit. That same 2X hydraulic group set in RED weighs in at 2,518g, while in Force it weighs 2,812g. Here at the AeroGeeks we are always going to be a huge fan of any trickle-down tech – it is the definition of bang for your buck. And we were always disappointed that SRAM never made a first-generation Force eTap. But we finally can rest comfortably knowing that SRAM had good reason. RED AXS was a huge leap forward for eTap so to wait for the second generation for Force now seems an acceptable trade off. We had been planning to build up a new bike with a 1X eTap setup for the past month but now think instead of RED, Force is going to be the way to go. Definitely stay tuned to our Twitter, Facebook, and Instagram feeds to see what we start cooking up. And as always thanks for reading AeroGeeks.com. Is there an Aero upgrade kit (like there was for Red eTap)?